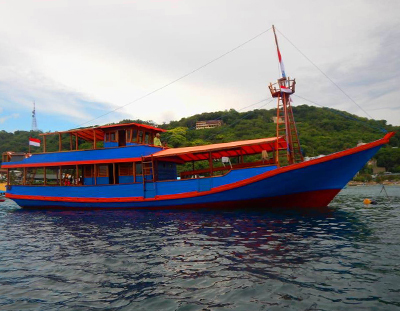 At Wet Frog Divers you will encounter the most professional diving and non-diving trips to Komodo National Park on our amazing day boat “Santai”. Choose from Introduction Dive, day trips of fun diving to cruising around and chilling out. 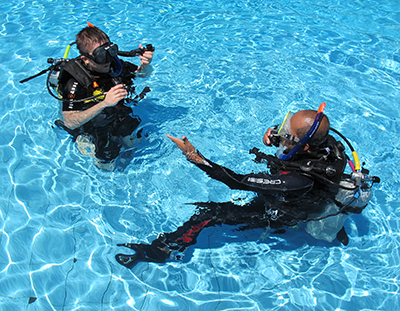 Alternatively get certified as Open Water Diver or enlarge your skills in scuba diving. With our international management team you can be assured to be among competent divers. Indulge in Komodo’s first-class underwater world, enjoy local food and come across Komodo’s dragons. Komodo is a sly old dog. 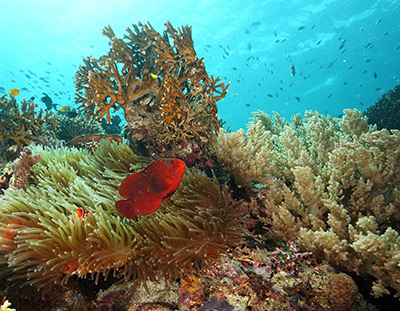 Diving in Komodo means healthy coral reefs, fun in currents, or search for small creatures. A perfect mix for your individual diving preferences. Daily dive trips are an affordable way to explore Komodo National Park. We provide you with the full, professional and tasty infrastructure. 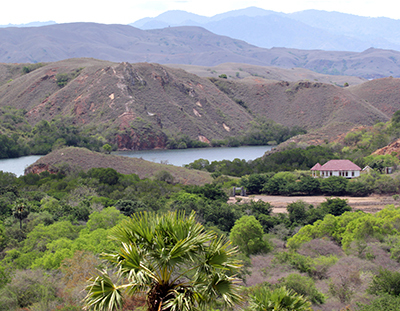 You experience Komodo at its best. With day boat diving, your diving schedule is up to you! Going out to Komodo’s best dive spots on our day boat “Santai” is a more comfortable experience. We spoil you with some great, freshly prepared snacks and lunch. You enjoy the space on our boat, socialise with other divers, or listen to music while you relax on our sun-deck after diving. This is the place where you relax after diving at the end of the day, take a hot shower and sleep in a comfortable bed. 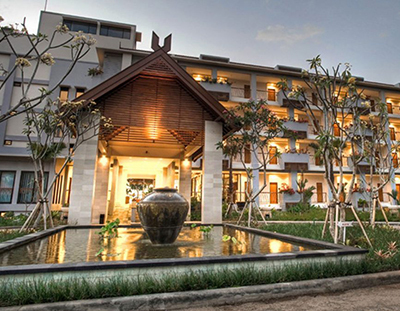 Bintang Flores Hotel is set in a specious tropical garden, drawing on Indonesian architectural influences, and offering international standards. Experience first time diving, get certified as Open Water Diver or extend your skills. Pick your favourite PADI or SSI specialty. Learn to take the perfect photo of the manta ray or sea horse, or start your training for your professional diving career. Kita semua memiliki satu dunia. We all possess one world. We take responsibility. Learn how to support us. Teach how to do better. It is a complex area and a very important one. Wonderful Indonesia - healthy underwater world, bizarre inhabitants, the biggest archipelago of the world! Komodo is a small island just West of Flores. 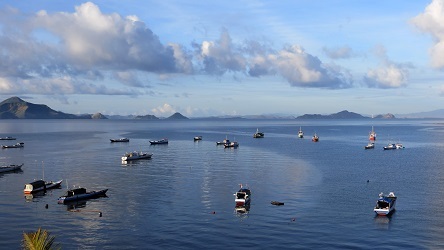 Surrounded by some small islands it is a part of Komodo National Park. Its dragons made the island famous. 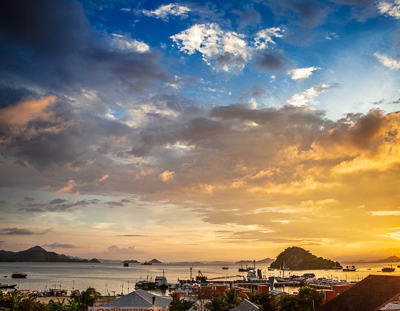 Komodo is a perfect place to combine scuba diving and nature.